Mrs PJ-Akpan is currently the Assistant Director that coordinates CBN’s technical/regulatory functions for domestic debt management. 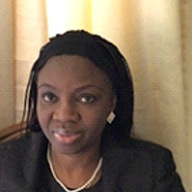 She qualified as a lawyer in 1985, called to the Nigerian bar in 1986, and after a brief stint with legal practice, moved into banking in 1989, within the Central bank of Nigeria, in different capacities. Her 28 years in the Bank, equipped her with requisite experience to provide optimal services aimed at regulatory and operational functions of the Bank. She interacts with money/capital market operators on market trends/activities and proffers advice on appropriate interventions for liquidity management.